You may have noticed that there is a lot going on on this page. So what exactly do I do? Well, my latest adventure is my calligraphy and lettering workshops! Some for adults, and some for kids! I LOVE LETTERS! All 26 of them. And fonts, and calligraphy, and I love love LOVE CHALK! So browse though some of my stuff and if you are interested in learning, check out the workshops and head over to the SIGN UP page. ALSO IN THE WORKS is an iPAD course focussing on PROCREATE and getting the most out of it. SO WATCH FOR THAT! 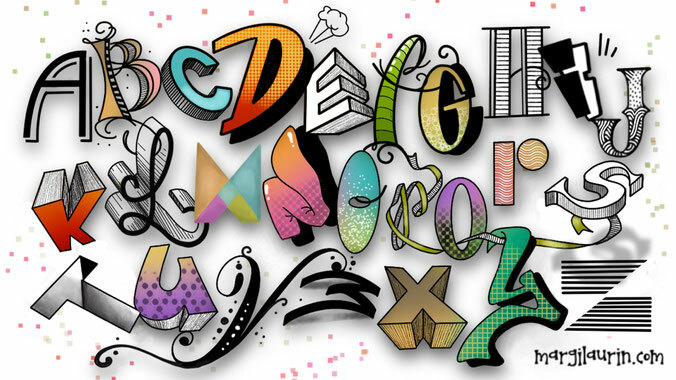 For Adult and Teen Lettering workshops, click HERE. Check HERE for the dates of the next Calligraphy Workshops. Check out this one! Can't wait! Ipad Lettering is pretty spectacular. It can have so many different appearances. This piece looks very digital, but see that chalkboard above? Yeah, I did that on my iPad. So check out my digital work HERE, I will add to it often, and watch for the iPad Procreate Course, or you can CONTACT ME if you are interested. 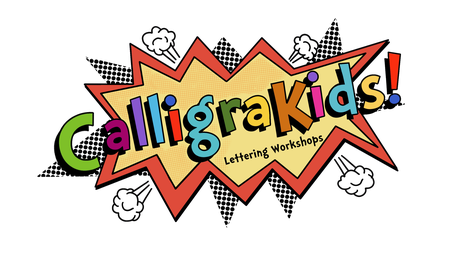 For Youth Workshops, visit me at Calligrakids.com! 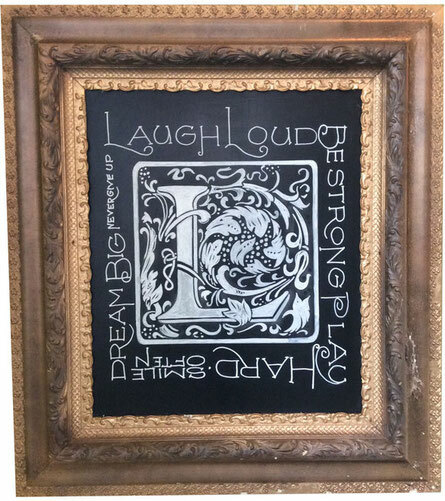 * SPECIAL OCCASION SIGNS will take you to the land of chalk drawings! This section is also fun fonts for you journaling types. Check out my new Chalk It Up workshop! Also watch for some new calligraphy pieces coming soon and available for purchase! 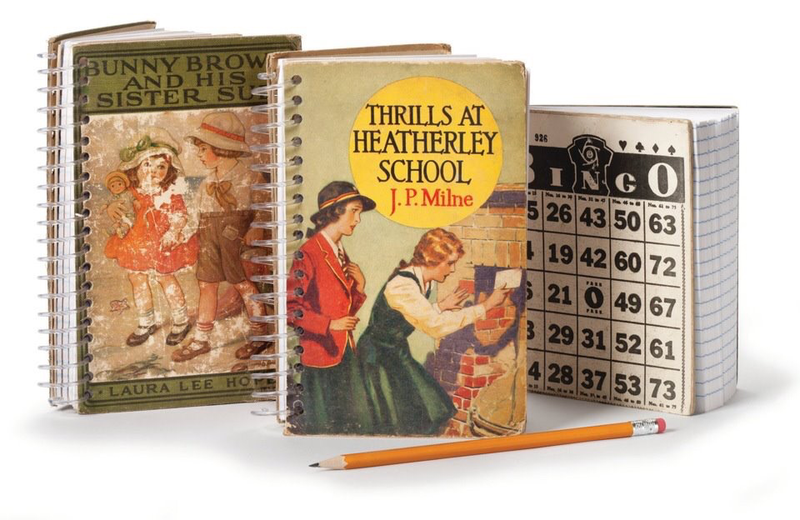 I also create blank journals from Old discarded library books. To read about them, please visit my CREATIVE JOURNALING page. On the DIGITAL ART page you will fid an in-depth description of digital art and what it entails. 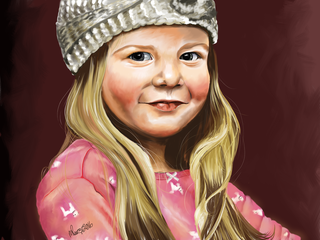 Primarily you will see children's portraits and how to order them. With all this craziness going on, I STILL paint traditionally , more often than not, the iconic RED CANOE. Visit them HERE, and take a minute to relax. Fruit Carving!!!!! WHAT??? Always time for something silly! 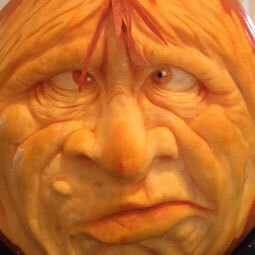 I love Halloween...so carving 3D pumpkins is one of my fave holiday pastimes. Check HERE to see some old and new ones. And another passion of mine is wall murals! 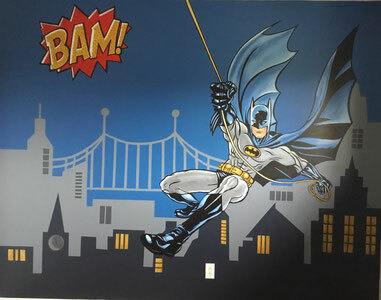 If you are interested in a customized mural for your child's wall, CONTACT ME and we can discuss it! Visit some past projects HERE.